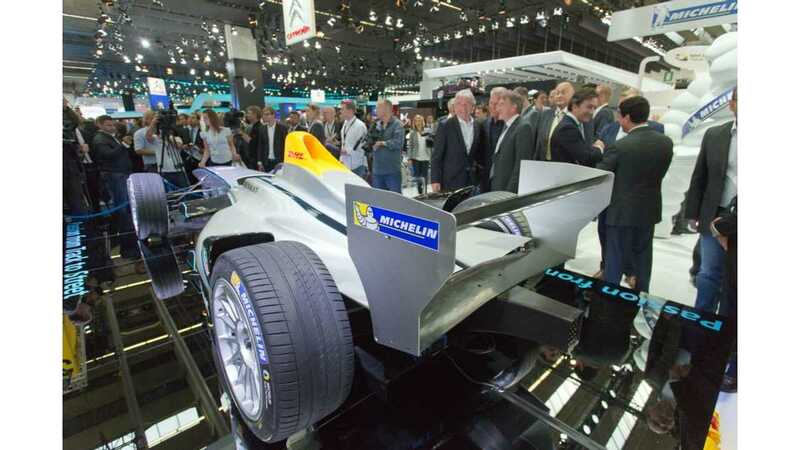 Michelin is the "Official Tyre Partner" for the FIA Formula E Championship racing series and, as befits a official tire partner, prepped special tires for Formula E cars. First of all, the tires will be all-weather, all-temperatures, so optimum performance must be achieved in both wet and dry conditions (no separate slick or wet-condition tires will be used in the racing series). This requirement comes from the need to reduce overall costs and the desire to promote sustainability. 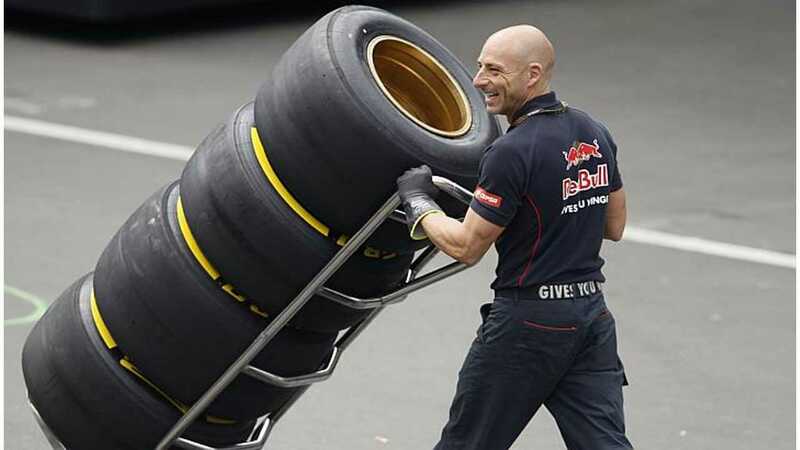 Secondly, the tires must be more durable than typically used in racing because, for each event, drivers will have just three sets of tires for both of their cars (6 sets of tires total) to cover free practice, qualifying and the race. This further reduces costs compared to other racing series where dozens of sets of tires are used. Then we have size. 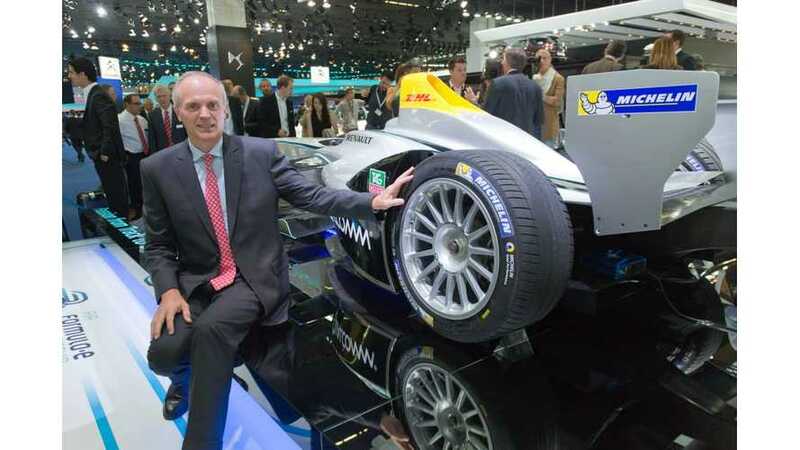 Spark-Renault SRT_01E cars will be fitted with 18-inch treaded tires. The high diameter, together with low profile, will increase the energy-efficiency, extremely important for electric cars. This corresponds to the real world. 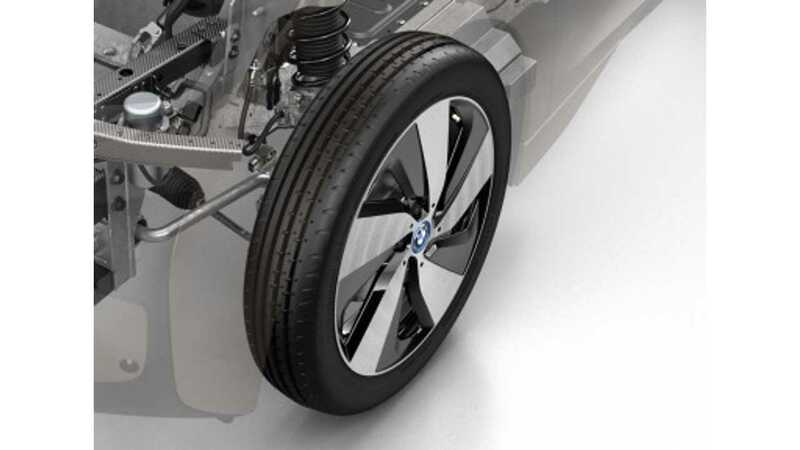 When we for example we look at the new BMW i3, it too has high diameter, low profile tires to increase range.